When businesses, insurers or individuals find themselves involved in complex civil litigation matters, they require focused legal attention. 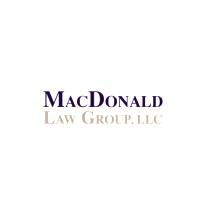 From the Beltsville, Maryland, location of MacDonald Law Group, LLC, our team serves people throughout Maryland; Washington, D.C.; and Virginia. At our law firm, we understand the complications that may arise from cases dealing with toxic tort, premises liability, insurance defense, construction defects, fire loss claims, asbestos defense and mold defense. We break down each situation so our clients understand their options for moving forward and what the potential consequences may be. As a client-centered law firm, we place the utmost importance on the relationships we build with those we serve. Our goal is to make navigating the judicial system as simple as possible. We provide everyone with a customized approach to their legal situation. By listening to details and collaborating with clients, we consistently develop a sound legal strategy that may lead to results such as case dismissals and favorable summary judgments. Our team at MacDonald Law Group, LLC, is made up of five dedicated attorneys who are admitted to practice in federal and state courts. We are members of several organizations, including The Virginia Bar Association, The District of Columbia Bar, the Maryland State Bar Association and the Defense Research Institute (DRI) - The Voice of the Defense Bar. The attorneys at our law firm hold a number of honors, including earning the highest peer rating possible of AV Preeminent* from Martindale-Hubbell.